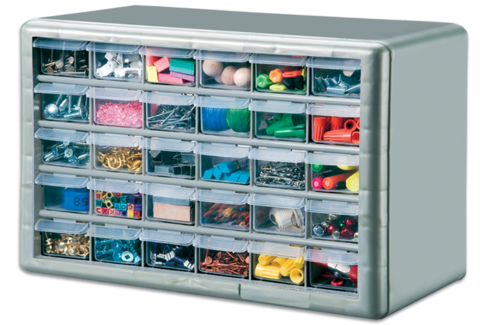 See-through drawers for quick identification of contents. Large ribbed drawer pulls for easier access to contents. Wide frame for additional strength and rigidity. Easily mounts to wall or will stand on bench or counter top. Cabinets can be stacked on top of each other or a DS-9 using Stack-On’s tongue and groove design. Available in silver / gray, red, light blue, metallic green, and bronze.